‘Tooth’ sensitivity is a common oral care issue that many people experience with hot, cold, sweet or acidic food and drink, or even breathing in cold air. Some people suffer more acutely and more regularly than others. To alleviate the pain & inconvenience of sensitive teeth, people try improving their oral care routine by: adopting a better brushing technique, using a specific toothpaste for sensitive teeth, flossing, etc. What most people don’t know, however, is that the root cause of what they call ‘tooth’ sensitivity is in fact, rooted in gum health. 90% of oral care sensitivity starts at the gum line! As the gum line recedes, exposed areas of the teeth are vulnerable, causing pain. This means that many people make an effort to reduce the pain, but most do not succeed because they are tackling the wrong solutions! 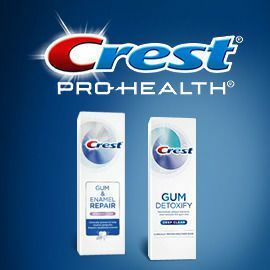 Currently, there is no toothpaste on the market that cures sensitivity by attacking the root cause; the gums. Crest, one of the leading toothpaste brands, has recently launched a new specialized range which specifically treats gum health, in addition to being a great “toothpaste”. We need your creativity to communicate the benefit of this unique toothpaste that helps cure ‘tooth’ sensitivity by focusing on the root of the problem. Can you help?